Many questioned why the police had surveillance cameras in the bathroom. Do not bathrooms have a reasonable expectation of privacy? We talked to the Miami Beach Police Department about why the cameras are there and found out why the police department says they are exempt from that part of Florida’s surveillance law. “The presence of the device is clearly and immediately obvious." In the case of the Bieber video, all apply, according to the police department. The Miami Beach police department says this video would not fall into the category of a bathroom, locker room or dressing room either. The spokesman said the cameras are there because guards have to be able to see the entire cell to make sure a person doesn’t try to harm themselves or someone else. The cameras are monitored live 24/7. The Miami Beach PD says there have been no legal challenges to the cameras facing the urinals in its holding cells. If not, does that also mean that bathroom cameras are fair game in Florida as long as there is signage, and there are stalls or dividers between urinals? There is a pending case in Washington State that deals with bathrooms in holding cells. 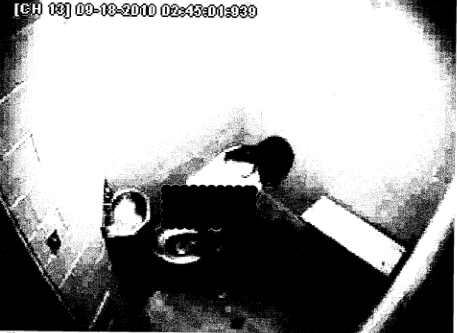 Several women are suing the Pyallup police department for recording them while using the bathroom in holding cells. They are suing for privacy and civil rights violations. They say they had a reasonable expectation of privacy. The city attorney argues that a person doesn't have an expectation of privacy when they go to jail. Comments (29) : PRO Members only. Login. or Join.